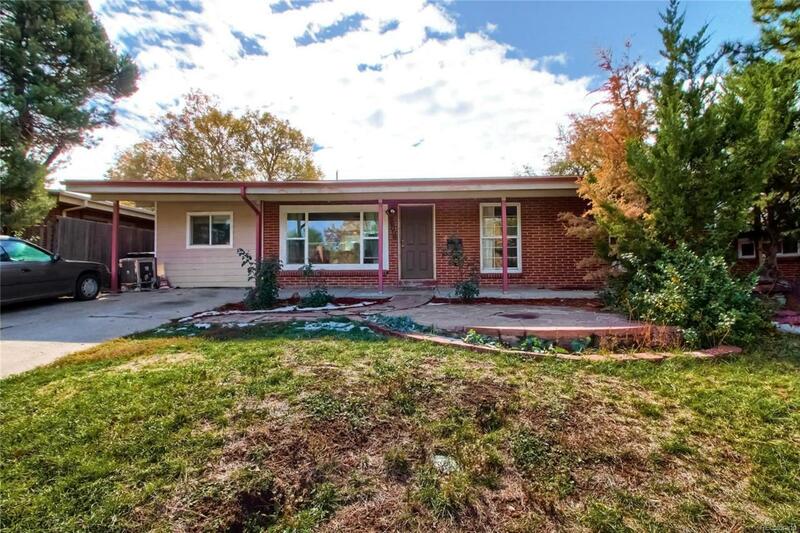 Welcome home to this charming ranch in the desirable Shaw Heights neighborhood! Main level features beautiful hardwood floors, exposedbrick, and vaulted ceilings in both end bedrooms. In addition to the extra-large end bedrooms, there is an additional 3rd bedroom on themain level, and full bathroom accessed from the main hallway. East bedroom has large walk-in closet w/ tasteful exposed brick. Westbedroom has private access to full bathroom. Living room and dining room get plenty of natural light from large windows throughout. Large,fully-fenced backyard w/ garden areas and storage shed. Lots of potential w/ the amount of space in the backyard. Full, unfinished basementalso has plenty of potential, w/ a fully finished 3/4 bathroom and partially finished 4th bedroom. Add your own touches to the basement oradd sweat equity to your home. Conveniently located close to public transportation, shopping, and many restaurants and amenities, makethis home your own today! Offered by Assist2sell Re Professionals.